Gattuso has been begging for the guys to react, and today they did. Once. They responded with a goal within three minutes of conceding one. And other than the fact that it was Gigio’s amazing 100th appearance at the tender age of 18 years old, there wasn’t much else for me to wake up for. I mean it was a point, away… that’s so much better than some of the performances we’ve seen of late. But still… sleep… so precious. Gattuso may have picked up pretty quick on dropping the ludicrous three man back line, but he still hasn’t figured out that by starting both Montolivo and Borini in the same match is like starting on nine men. Borini has chalked up a sweet number of assists while playing on the wing, but is fading even in that glory. And playing in his natural position on the wing puts him straight back in mediocrity mode. Montolivo has had a couple of good games, but is quickly sliding back into the form that made him so hated. And by sliding, I mean that he was literally sliding around on his former Fiorentina pitch this morning. The change in the team when Borini was subbed off was immediate, kind of like a knee-jerk reaction, so let's hope Gattuso is sorting that out, too. 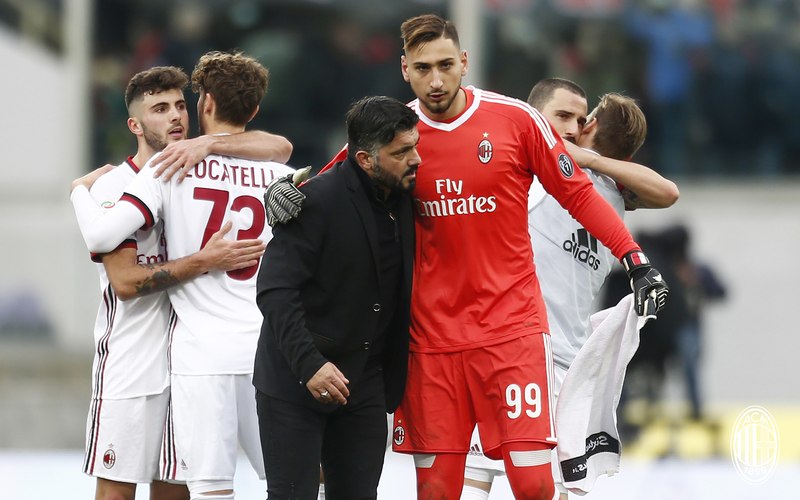 Gigio, not hampered by legions of mindless Milan fans who insist on abusing him at home, had a great game to mark his 100th appearance in the senior team, and is now the youngest Milan player ever to reach that mark. He had some brilliant saves, stats say five saves in all, even if Fiore took 18 shots total. It’s worth just watching his highlights for this match, they were great saves. But of course the one he couldn’t get to was Simeone’s wicked shot in the 71st to open up the scoring. 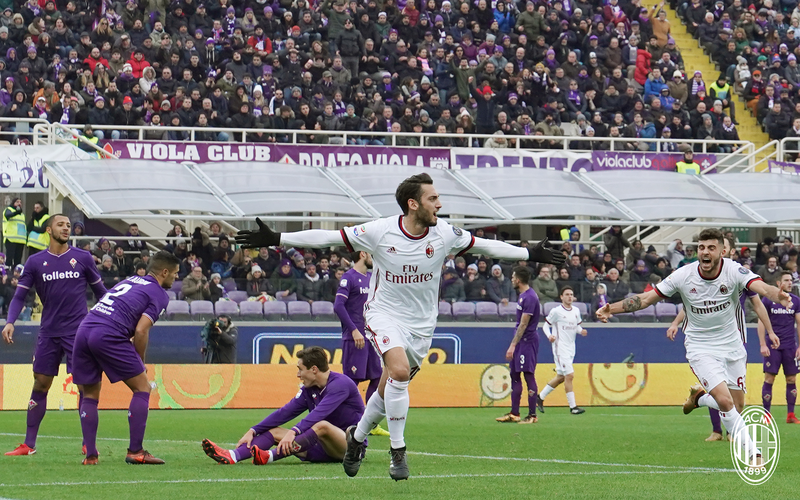 1-0 Fiorentina. Son of a snake. 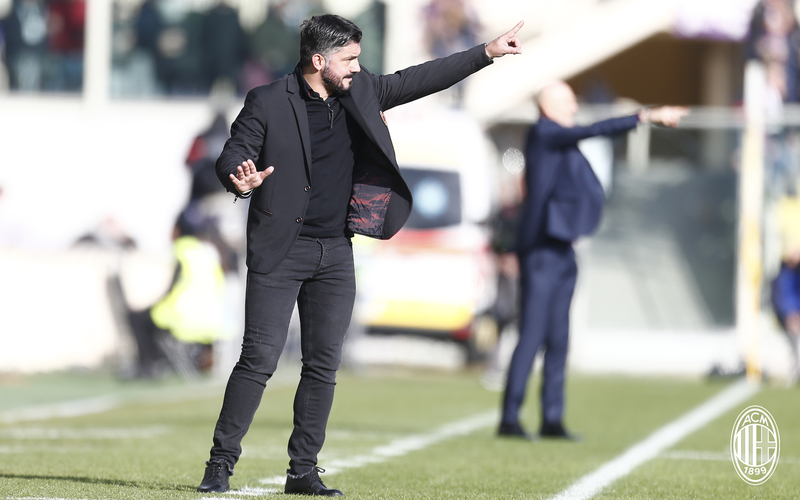 Gattuso reacted by immediately making a sub, taking the tired-looking Bonaventura off and bringing on Silva for 18 minutes. Part of that sub meant Calhanoglu could move back to a spot he was more comfortable in, and it was immediately successful as he scored the equalizer from a shot from Suso. 1-1 all. A knee-jerk reaction, indeed. Most of the rest of the match was an exercise in sleep deprivation for fans like me, watching at 3:30am. I don’t feel much better for the fans in China or Australia who would finally get to watch at a reasonable hour, because it was a waste of their time advantage. A documentary on paper clips would have been far more exciting. Gattuso mirroring Pioli until he can learn more on his own. "Ok, point your finger this way"
But baby steps, we have to remember. Every baby step in the right direction is still movement in the right direction. It’s not like Fiorentina put on a display worthy of losing sleep either, although I’d still say they at least probably played a bit better than Milan. Now Gattuso has gotten our boys to react, all he has to do is get them to wake up for the other 89 minutes. Which might be easier this next few weeks when the squad actually have six and seven days to recuperate in between games again until the Coppa Italia and Europa League start back up again. I want to think that today’s goal was progress, but maybe it was just luck… or a good old fashioned knee-jerk reaction.